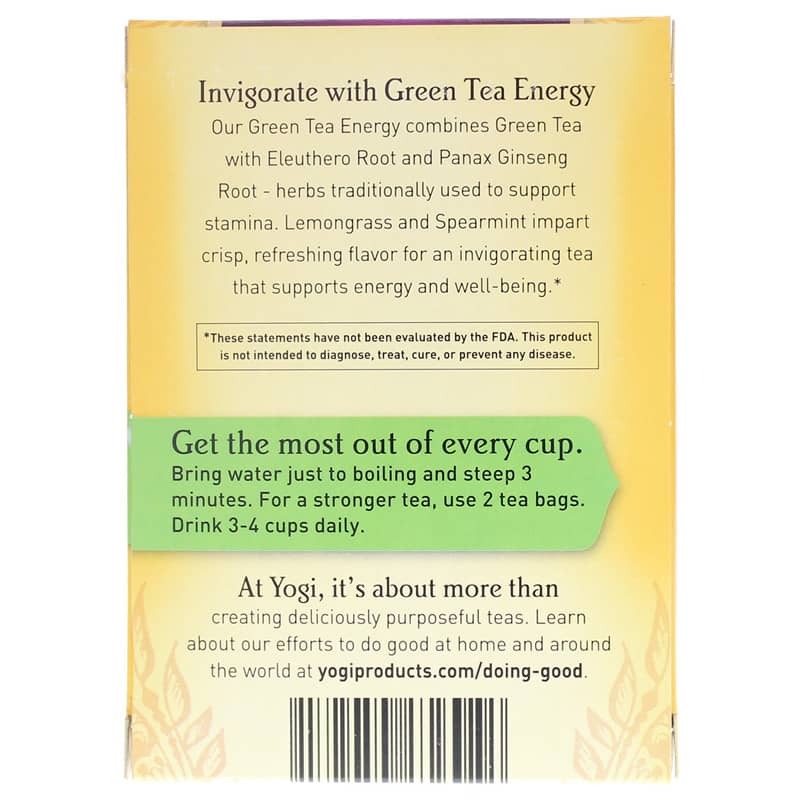 Get invigorated with Green Tea Energy. 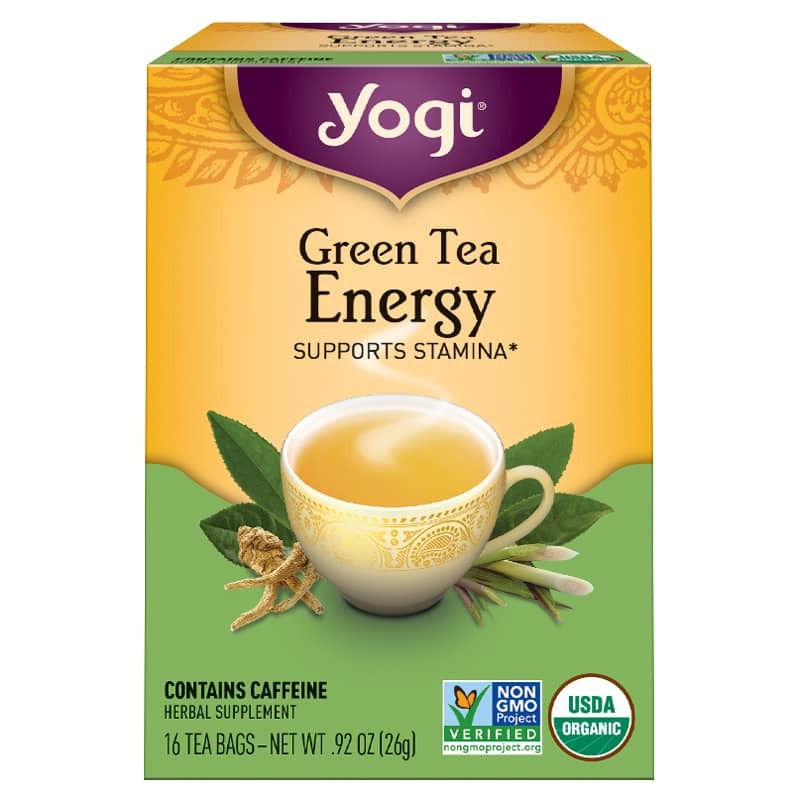 To feel more energetic, make a cup of Yogi Green Tea Energy part of your daily health regimen. Blending herbs that can help restore internal balance and promote greater energy and well-being, this special formula contains delicately flavored organic green tea, an antioxidant that is known to protect the cells in your body. Yogi then adds organic Panax ginseng root and organic eleuthero root, herbs with a long history of promoting energy and supporting the body during stress. Organic Lemongrass and organic spearmint impart crisp, refreshing flavor. Each tea bag contains approximately 35mg of caffeine, as compared to approximately 90mg in 8 ounces of coffee. 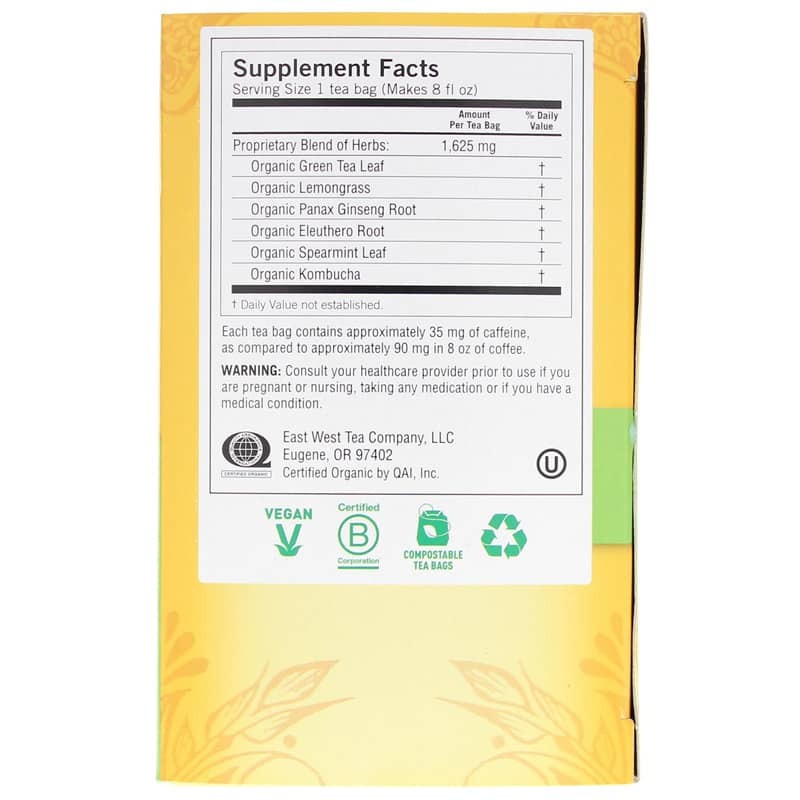 Each tea bag contains approximately 35 mg of caffeine, as compared to approximately 90 mg in 8 oz. of coffee. USDA Organic, Non-GMO Verified, Vegan and Kosher. Bring water just to boiling and steep 3 minutes. For stronger tea, use 2 tea bags. Drink 3 to 4 cups daily. Tasteless so adding a teaspoon of honey makes it perfect!